Looking for Neurofeedback Columbus Ohio? We are happy to be the only Clear Mind Center in Columbus Ohio. The Clear Mind System integrates an audio and video training system to make it the most comprehensive system available. The Clear Mind system begins with a test called a brain map. This is a non invasive process that measures your brainwave activity giving the doctor a clear picture of how to best help your particular case. After a computerized analysis of your brain map, the appropriate treatment is chosen to help improve the function of your brain waves. This can involve listening to music or watching a movie while your brain waves are monitored. The music or movie will advance when the proper brain wave patterns are being produced and will fade when they are not. This is how we train your brain to create new patterns that can become permanent over time. The term literally means “brain” and “input”, where the brain is monitored and input is given instantly. 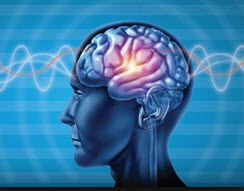 This technology specifically monitors brainwaves, looks for irregularities, then produces a signal that is designed to correct the irregularity and guide the brainwave back into a healthy pattern. With repetition of this process over time, the brain will learn to stay in healthy ranges without the aid of the computer. The result is an improvement in brain regulation, which in turn can reduce or eliminate most neurological symptoms. Delta brainwaves are associated with deep, dreamless sleep and regeneration.Delta brainwaves occur when you are asleep and are responsible for healing the body. Over 1,000 studies have been published related to this technology. The early animal research, which has been validated in many peer-reviewed journals since the 1970s, showed: that brainwaves can be changed through operant conditioning, and that seizures are reduced with EEG training. These studies were originally done in the 1960’s using cats with no chance of placebo effects. Since the 1970’s research has been verified in human studies, and based on decades of additional research on humans of all ages the basis for this technology has become extremely solid. You can browse many research articles on this site for specific conditions by visiting our research pages. For Neurofeedback Columbus Ohio, you may call our office at 614-436-3870 to schedule your brain map session today and see how we can help! We have been serving Columbus Ohio as well as neighboring communities such as Worthington, Westerville, Upper Arlington and Dublin since 1980.